Why Is My Browser Storing So Much Private Data? Between the browser history and tracking cookies, it’s easy to feel like your browser is tracking and spying on you. But web browsers store this private data for good reasons. We have shown you how to have your browser clear private data whenever it closes or always start in private-browsing mode. However, having your browser keep all this private data can be very useful. The browser cache is a place where your browser stores bits and pieces of downloaded websites – images, scripts, CSS style sheets, and more. 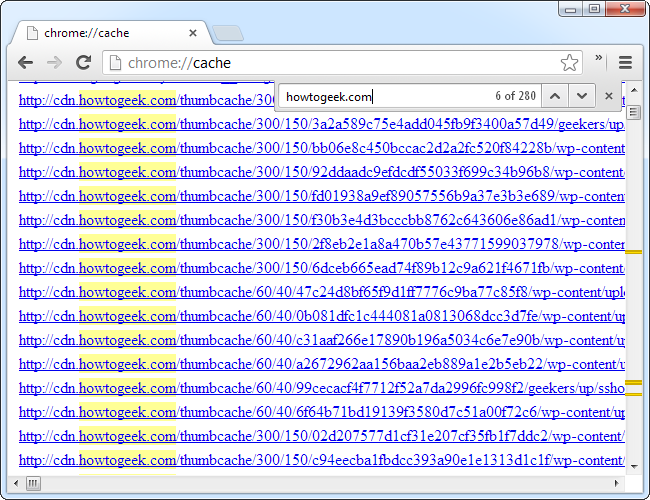 When you access a web page that uses the data in the future, your browser can load it from the cache. This saves bandwidth and speeds up page load times. For example, your browser has probably cached the How-To Geek logo at the top of this page. When you visit another page on our website or come back to our homepage tomorrow, your browser will load the How-To Geek logo from its browser cache, speeding things up and saving download bandwidth. Privacy Concerns: Someone with access to your computer could examine your browser cache and determine some of the websites you’ve been visiting. Benefits: The browser cache speeds things up. If you disable the cache or clear it every time you close your browser, web pages will take longer to load and will take more bandwidth. Privacy Concerns: Cookies can be used to track your browsing by advertising networks. Someone with access to your computer could view them and see each website you have visited (if the website set a cookie). Benefits: Cookies allow websites to save your login state and settings. 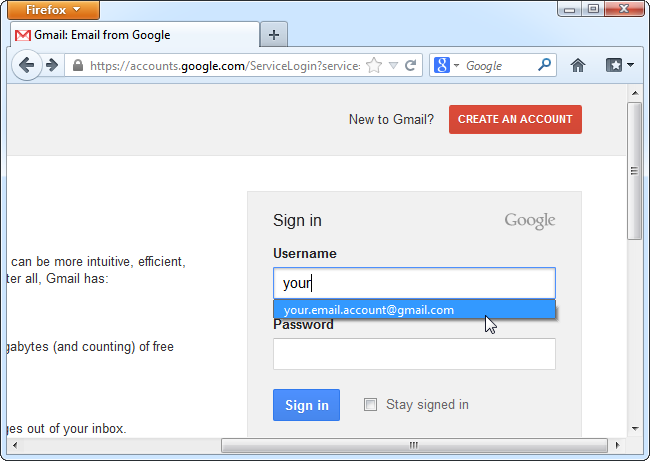 For example, if you log into your Gmail, Google can remember your browser is logged in. You won’t even be able to log into many websites if you disable cookies. You could have your browser automatically clear cookies when you close it, but then you would have to log into each website you use every time you open your browser. Browsers store a list of web pages you have visited along with their titles and the time you visited them. You can view this information in your browser’s history. Privacy Concerns: People with access to your computer can see a detailed list of the websites you have visited. Benefits: You can search your browser’s history to find a page you have recently visited. Some browsers – such as Chrome – offer full-text search in the history, so you could find a web page you recently visited just by remembering some words that appeared on the page. The browser history also helps power your browser’s location bar autocomplete feature. For example, if you frequently visit The Onion, typing Onion into your location bar will suggest The Onion’s website. If you frequently read onion cooking tips on a food website, your location bar would suggest the cooking-related website instead. Chrome also uses this information to power the “Most visited” page, which allows you to quickly access websites you frequently visit. Other browsers may have similar features. Browsers also store words you type into web forms and a list of searches you perform using their search box. They suggest this data when you use a similar form field or search box in the future. Privacy Concerns: People with access to your computer can see words you’ve typed in web forms and searches you’ve performed from your browser’s interface. Benefits: Your browser can suggest text you’ve typed in the past, including usernames, addresses, and other data. You can quickly perform searches that you’ve performed in the past, which will be suggested when you go to search. Preventing your browser from storing private data may increase your privacy in some ways, but you’ll lose out on the advantages of storing the data. Most of the private data here is only stored on your computer (assuming you’re not using a browser sync feature that stores it online) and can only be viewed by someone with access to your computer. The one exception is cookies. If you’re worried about cookies, you should look into selectively allowing cookies instead of clearing them entirely. However, this is more work than just allowing your browser to store all cookies.